What does it take for a Dallas property manager to keep tenants happy? Should you be showing up on their doorstep delivering donuts to them every morning? How about popping into the rental house at random times with balloons and a smile? No, of course not! Most would say those kinds of interactions would actually detract from a tenant’s rental experience, and cause them to move out sooner. 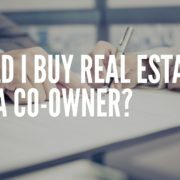 Most tenants want you as the Dallas property manager to leave them alone and let them go about their business unless they need something fixed or have questions that need answering. At Specialized Property Management, we know that happy tenants are the key to success and consistent income. Follow these tips below to keep your tenants content and your rental home occupied. Nothing is more frustrating to a tenant than a lack of response as the landlord. A tenant with a maintenance issue does not like to wait for long periods of time without hearing back from a Dallas property manager. They want to feel their needs are being met and that the problem will be fixed in a prompt manner. Your Specialized team knows that you can’t always answer the phone at 2 a.m. when an issue arises. That’s why we answer all tenant phone calls and emails 24/7 so you don’t have to. Quickly responding to tenants is one of the most important things Dallas property managers can do to keep them happy. Sure, you might have lived in that home before your tenants moved in, but that doesn’t give you the right to pop over unannounced. If you absolutely need to have access to the rental house, contact your tenants at least 24 hours in advance to alert them. Tell them the time and day they can expect you, and make your visit as concise as possible. Renters have a legal right to their privacy, and not abiding by those rules can get Dallas property managers in legal trouble. The property management business can be a competitive market, but resist the urge to hike up your rental rate if you have a reliable tenant who consistently pays the rent on time. At Specialized Property Management we will help you set a competitive rental rate the first time, and advise you on the proper times to consider upping your rate. The loss of a golden tenant can mean a long vacancy period for you as the Dallas property manager, so think carefully before changing the cost of rent. In short, your Specialized team will work with you to do everything we can to keep your tenants happy. Ensuring long-term tenant retention is one of the key elements to helping your investment succeed. Give us a call today!